Who was Antonio Neri? "Conciatore" details the life of the author of "L'Arte Vetraria," the first and most famous book on making glass. 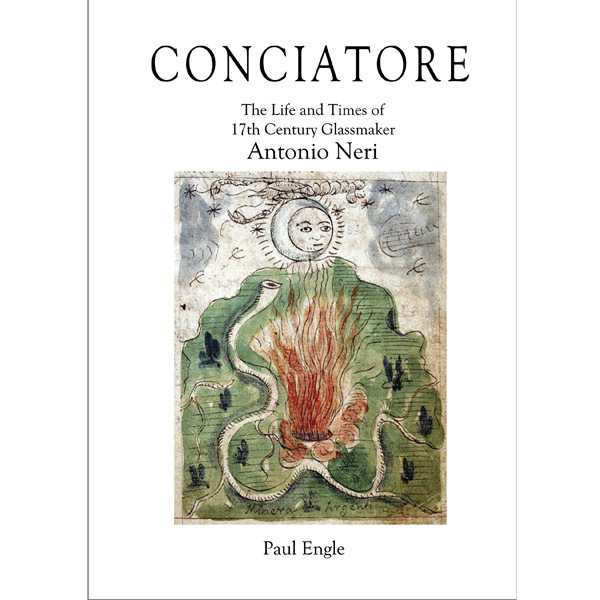 Venture into the mysterious world of Neri, a late Renaissance priest and alchemist who plied his craft in Florence, Pisa, and Antwerp at the beginning of the 17th century. Measures approx. 10.25 inches H. x 7.25 inches W.
Published in 2014 by Heiden & Engle Press.